Instagram is one of the most famous and reliable photo sharing apps on the market. Regarding the characteristics of this tool, you can easily distinguish this app in its square image format and nostalgic filters. Instagram has become quite famous as it can help you edit your photos and create stories out of these pictures, while you can even save the Instagram photos and videos that you like. However, this app has few limitations that need to be mentioned, as including that it cannot be run on Windows, Blackberry, and Linux. Aside from that, you are not able to edit the privacy of a specific photo, so all of your posted photos are either going to be public or all of them will be kept in private mode. There are a lot of amazing programs by using which you can save and share photos and you can enjoy some unique features that Instagram doesn’t offer. You may browse through this article to select the best apps like Instagram that matches your taste. Facebook is one of the most popular social networking platforms around the world. Via using this app, you may edit the specific privacy of your status, photos and videos, you may select if you want to share them with everyone viewing your profile, or only with your friends, while you can even keep them private. Recently, this app also added an additional feature called Marketplace. The Facebook Marketplace allows its users to view, buy and sell items in their local community. By adding this feature, Facebook became one of the most relevant places not only to share photos and connect people around the world but also to do online business. This program would be the most flexible among all of the Instagram alternatives apps. Another interesting Instagram alternative is called Twitter. This is an online social networking platform where people can connect with others by making use of short content messages called Tweets. Many celebrities and famous personnel are using this app, where you can easily follow them and learn their stories by following their main account. Aside from that, you can also create your own tweets and share photos with your friends. This platform also offers some of the available filters that you can also find in Instagram. Moreover, Twitter on iPhone has a built-in editor for photos that is an additional super function. Tumblr is another free social networking platform like Instagram. It is famous for offering its microblogging interaction. Unlike some other social networking platforms, on Tumblr, you can only create a short content post where members can post text, images, videos, links, and audio files. Moreover, this program is available in all popular mobile operating systems. It is also accessible on Mac and Windows PC. The dashboard feature of this app allows the users to search blogs or visit and follow other users easily. Snapchat is a brilliant alternative to Instagram. This is a multimedia messaging app for iPhone and Android users. You can share your photos from here easily. In this app, you can set the time of your chat visibility. Aside from that, what separates Snapchat from the rest is that all photos and videos being shared will disappear in a few seconds after being viewed. When it comes to capturing photos, this app has a variety of filters that you can use to make your capturing experience more fun and enjoyable. The next Instagram alternative is Vero, which is an emerging social networking platform launched last 2015. The mentioned image-sharing app reportedly became the most downloaded social networking platform in 18 countries. In case you are looking for an ad-free community, this is the best choice for you. Due to popular demand for this app in other countries, it extended its “free for life” offer for every new member. Diaspora is a nonprofit social networking platform similar to Instagram that you can share your status, images, and see other people’s comment on the material. This tool also ensures the users that it will not sell its member’s information to advertisers. However, unlike the other social networking programs above, it has few users. This program is not widely known in many countries. Flickr is another one of the best apps like Instagram. It is a photo and video-hosting program that is acquired by Yahoo in 2005. You can easily upload, edit and share your photos and videos via this platform. It is also available on all commonly used devices such as Android, iOS, Windows, and Linux. What makes Flickr different compared to Instagram is that it focuses on the appreciation of photography. If you are a photo enthusiast, this community is absolutely for you. The programs mentioned above are the best apps similar to Instagram. 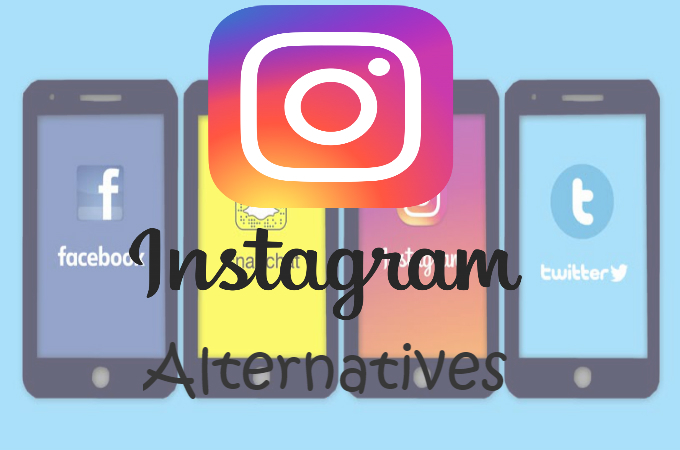 Each of these programs has their own advantages and disadvantages compared to Instagram. This article can be used as a reference when choosing an alternative that suits your taste.